Selling a home is a difficult enough task as it is, but the longer a home stays on the market the easier it is to fall into the trap of sounding like a used car salesperson and accidentally pushing people away. There are ways to make sure potential buyers see the positive aspects of the home without coming on too strong and leaving them skeptical. Many sellers rely on the imagination of the buyer to sell aspects of a home. Why tell somebody to imagine all the things they could do with the back yard when proper staging can show them? An empty deck will never look as appealing as one with beautiful patio furniture and a bland living room will never seem as inviting as one that has been properly staged. Allowing buyers to see the rooms at their best will give the seller a chance to step back and not have to push the rooms on them. One rule of thumb when showing a home is to de-personalize as much as possible. The goal is to have potential buyers image themselves and their family living in the space, which can be hard to do when there are reminders of the family currently residing there. It’s easy to become caught up in the moment when talking about personal lives and telling stories, so when a seller tells stories about their own upbringing in the home or how they raised a family there it can seem pushy and put people off. Placing furniture in a certain way can actually dictate the flow of traffic through the rooms of a home. By clearing out bulky pieces of furniture or decorations that hinder foot traffic from flowing properly, a seller can help guide people through the space. If there is a particular area that a seller wants people to spend more time in, they can accomplish this by giving that room a more open floor plan when compared to previous rooms. This acts as a traffic stop for people who have been naturally flowing towards that particular selling point. Have you been having problems when showing your home? Reach out to your local real estate professional today. With approximately one million people having purchased vacation homes in the last year, this type of residence is gaining popularity for those who are interested in a home in a beach setting or a vacation hot spot. However, while a second home can seem like a great purchase and solid investment opportunity, there are different requirements that go into this type of purchase. If you’re considering a vacation home, you may want to be aware of the following financial factors. If you currently have a primary residence, you may be aware that you don’t need to put down 20% or even 10% in order to make a home purchase, but things are different when it comes to a vacation home. Because you will be taking on an additional mortgage, there is greater risk involved, and this means you will likely have to put in at least 10 percent. Because of this, many homebuyers utilize the equity they have in their first home to make up the down payment. Most people that have a credit score of more than 500 have the ability to use a mortgage product and purchase a home, but if you’re buying a second property, you’ll need a higher credit score in order to facilitate the purchase. Because there is more risk involved, lenders will want to make sure you’re a good bet. In addition, if you do have a lower credit score, lenders like Fannie Mae may also expect you to put more down to decrease the risk involved for them. Since you’ve been through the mortgage process for your first home, you’re probably aware that you debt-to-income (DTI) ratio needs to be a certain amount in order to qualify for a mortgage. While your DTI for a primary residence may be a little bit higher since it’s your only payment, this ratio will be lower for your vacation home since it’s higher risk. This means you’ll require a slightly higher income than for your primary residence in order to get approved. 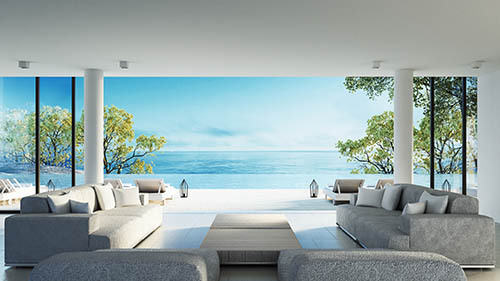 Deciding to purchase a vacation home can be a very exciting concept for many people, but there are a number of different financial requirements that go along with buying another residence. If you’re in the market for a vacation property and are curious about what’s involved, contact your local real estate professional for more information. Instead of having to deal with day-to-day fluctuations of the rate which increases or decreases what you owe a rate lock is a lender promise that you will be held to a specific rate or your rate will not rise above a certain number. 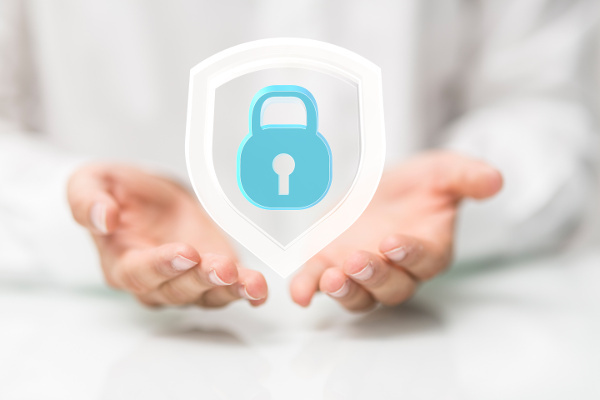 It might seem like a rate lock is an option that everyone would utilize, given the stability, but lenders charge for this type of offer because of the risk factor. While lenders can certainly stand to gain if your rate lock is higher than the interest rates, in the event that they rise beyond this point, they will end up losing money. So, while a 30-day rate lock may not end up costing you, this type of lock stretched over a longer period may actually end up costing you more than fluctuating rates. If you’re not familiar with the world of investing and interest rates, a mortgage rate lock can sound like a great idea; however, there are downsides to this offer and they’re worth considering before getting locked in. If you are currently on the hunt for a home, contact your local real estate professionals for more information. The monthly mortgage payment for your dream home may look like it’s manageable on the surface, but if your DTI ratio exceeds what is suggested, there may be issues with acceptance of your application. If you’re currently in the market for a new home, contact your local real estate professionals for more information. 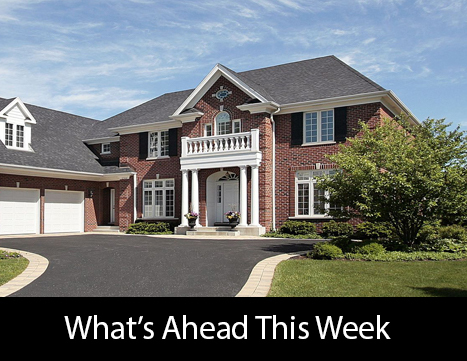 Last week’s economic news was abundant with releases on home builder sentiment, housing starts, building permits, sales of previously owned homes. The Federal Open Market Committee of the Federal Reserve released its customary statement at the conclusion of its meeting; Fed Chair Janet Yellen also gave a press conference. Weekly readings on new jobless claims and mortgage rates were released as usual. Home builder confidence in housing market conditions increased in September according to the National Association of Home Builders Housing Market Index. Builder confidence rose five points to 65; analysts expected a reading of 60 based on August’s reading of 59. NAHB said that September’s reading was boosted by more “serious” buyers entering housing markets. Components used to determine NAHB HMI readings were also higher. Builder confidence in current market conditions rose six points to 71; builder confidence in housing market conditions over the next six months rose by five points to 71. Builder confidence in buyer traffic in new housing developments rose four points to 48. Buyer traffic readings have not reached 50 since 2005; 50 is a neutral benchmark for NAHB HMI readings. Home prices continue rising at a higher pace than wages; this is pressuring first-time and moderate income buyers out of the market. An ongoing shortage of available homes is pressing prices higher as demand increases. Analysts pay close attention to the NAHB HMI as building more new homes is a key factor in easing the shortage of homes for sale. Commerce Department readings on housing starts and permits issued were lower for August Housing starts were lower in August at 1.142 million starts on a seasonally-adjusted annual pace. Analysts expected 1.182 million housing starts based on July’s reading of 1.212 million starts. Regional readings showed a dip in starts in the South. Severe flooding in Louisiana contributed to the lower reading for housing starts. August’s reading for housing starts was 5.80 percent lower than July’s reading and 0.90 percent lower than for July 2015. Building permits issued were nearly flat in August; this was likely due to the prime building season winding down 1.139 million permits were issued as compared to 1.144 million permits issued in July. Single-family starts were six percent lower than for July and were 1.20 percent lower year-over-year. Sales of pre-owned homes fell by 0.90 percent in August to a seasonally-adjusted annual rate of 5.33 million sales. Analysts expected a reading of 5.48 million sales; July’s reading for sales of pre-owned homes was 5.38 million sales. Low inventory of available homes continues to impact housing markets as demand for homes increased and prices rose; the national average home price was $240,000 in August. Rising home prices continued to be driven by high demand and low supplies. These conditions also impacted first-time and moderate income home buyers who were pressured to keep up with rapidly rising home prices. While mortgage rates remain relatively low, higher home prices and tight mortgage credit requirements remain obstacles for first-time buyers. Freddie Mac reported lower mortgage rates last week. The average rate for a 30-year fixed rate mortgage fell by two basis points to 3.48 percent; the average rate for a15-year fixed rate mortgage fell on one basis point to 2.76 percent. The average rate for a 5/1 adjustable rate mortgage was lower by two basis points at 2.80 percent. Analysts expected new jobless claims to remain flat at the prior week’s reading of 260,000 new claims, but 252,000 new claims were filed for the lowest reading since July. The four-week rolling average of new jobless claims fell by 22250 claims to 258,500. The four-week reading is considered a less volatile reading than week-to-week readings. The Federal Open Market Committee said in its post-meeting statement that the target federal funds rate would not be raised. In a press conference given after the FOMC statement, Fed Chair Janet Yellen said that although the economy continued to improve, the Fed had concerns over the labor market and decided not to raise rates. Any increase in Federal Reserve rates triggers increases in consumer lending rates. This week’s readings include Case-Shiller Home Price Indices, readings on new and pending home sales and weekly readings on mortgage rates and new jobless claims. When people buy a new home they have a right to be informed of the problems that they may face on the property and any issues that the home previously experienced. However, as a seller it can be difficult to know whether the required information is being disclosed. Nobody wants to appear misleading, especially when it can impact a sale, and making sure all the proper information is finding its way to the buyer is imperative to make the deal go through. Disclosures are not handled at the Federal level except for the Lead-Based Paint Hazard Reduction Act, which requires all sellers to have their home inspected for lead paint if it was constructed before 1978. Other possible disclosures include any legal issues with the property title, mold and water leaks, problems with the plumbing or sewage on the property, and issues with the roofing, air conditioning and heating systems. While it is best to err on the side of caution when dealing with home seller disclosures, every state’s laws are different and some are more stringent than others. A seller may believe they are disclosing everything that is required and still find themselves on the wrong side of a lawsuit. When deciding what to disclose to a buyer it’s best to always consult a local real estate agent. Any professional will know the specific laws to their area and will be sure to let you know if you have left something vital off the list. All disclosures are not created equal and in some situations they can even work in the favor of the seller. When the seller tells the buyer about an issue from the home’s past that has been repaired it can be a huge benefit. Not only is the buyer being informed about the home’s history, they are being shown that the seller was a responsible home owner who took care of the property and fixed the issues as they came up. This can give them a sense of security and confidence that the home was well maintained. If you are in the process of selling your home but can’t figure out what you need to disclosure legally and what you should disclose morally, speak with your local real estate agent. They will be able to walk you through the process so nothing is left off the list. 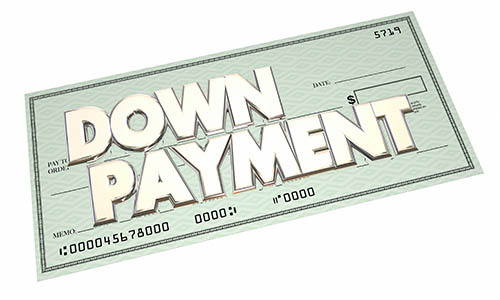 If you’re just getting into the real estate market, you may have heard that 20% down is the ideal percentage in order to lower your monthly payments and get your mortgage application approved. However, while 20% is often suggested, many people struggle to come up with this amount of money. If you’re staving off home ownership, here are some reasons you may not need to hold off as you long as you thought. Putting down 20% of the total purchase price of your home is often suggested, but it doesn’t definitively mean that your application won’t be approved if you don’t. 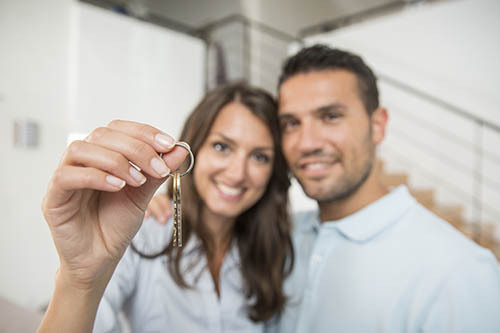 If you have a good credit score and are in good financial standing, putting less than 20% down means you’ll have to pay Private Mortgage Insurance (PMI); however, it can be worth paying the extra funds in order to get into the real estate market sooner and start paying into your most significant investment. It may seem less possible to buy a home if you only have 5 or 7% of the purchase price, but there are many programs in the United States that enable those with limited funds to apply for a mortgage. From the Federal Housing Administration (FHA) to Fannie Mae and Freddie Mac, there are many lenders that can offer you mortgage programs that will work for your situation. While higher rates come in tandem with a lower down payment, there are options out there for those who haven’t saved quite enough. 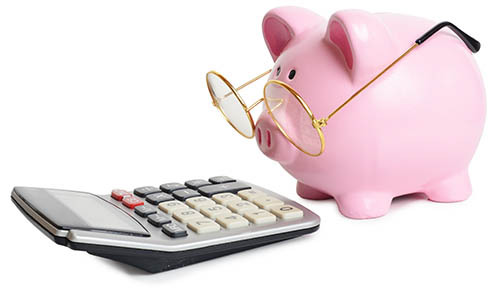 Putting down 20% is not a necessity for mortgage approval or purchasing a home, but it can be a great means of saving money in the long run and reducing your interest rates. If you’re raring to get into the real estate market and don’t want to wait for the bills to stack up, that’s OK, but if you want to hold off and save up additional funds before diving in, this can mean more money and a more solid investment in the future. 20% is often the magic number when it comes to a down payment on a home, but you don’t require this percentage of your home’s price in order to get approved for a mortgage. If you’re currently considering diving into home ownership and would like to know more about the opportunities in your area, contact your local real estate professional for more information. Every insurance policy is different and can provide certain levels of protection tailored towards the needs of the policy holder. However, there are some standard types of coverage that are included in most basic home insurance policies. 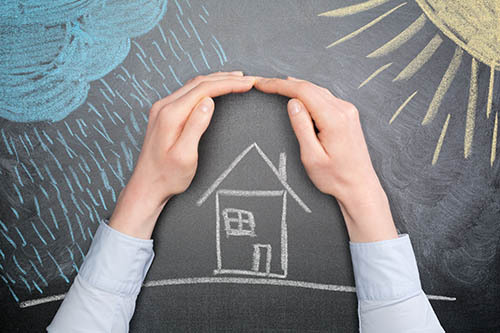 Most homeowner insurance policies will include some basic levels of protection and coverage. The main dwelling will be protected from many forms of damage and the insurance company will pay to repair the damaged dwelling. This will extend to other smaller structures on the property, like sheds and separate garages, but the level of coverage will differ. Damage is one important aspect of insurance, but protection for personal belongings is equally important and is also included in a standard home insurance policy. The monetary value of items in the home will be covered in case of damage or theft, so it’s a good idea to keep track of valuables. Every insurance company will have a different limit on the amount covered, so it’s wise to compare the value of belongings against the level of coverage. The third aspect of home insurance policies is liability protection. This will cover any personal injuries that are incurred on the property by people who do not live there. It may seem silly, but having protection in case of a lawsuit can go a long way to saving a family financially as attorney fees and medical bills add up. Although each insurance company has different policies that cover different parts of the home, almost all of them do not include one important aspect in their policies. Damage caused by floods, earthquakes and war will not be included in most standard home insurance policies and may be important depending on the geography of the area. Another important note is that flood damage does not just apply to natural flooding in the region, but will also include water damage from broken pipes or backed up sewage lines. It’s an important distinction because many first-time home owners assume this water damage will be covered under their basic insurance policy. The right insurance policy can be difficult to figure out for first-time home owners. There are many questions to ask about the property to determine the right policy and it’s a good idea to consult your local real estate agent to get their insight into what additions may be needed. If you’re preparing to sell your home you’ve likely heard many tips and tricks to help close quickly, however few people will ever tell you what you’re doing wrong. Don’t be your own roadblock to success! Avoid these common seller-mistakes to ensure that your home leaves a lasting impression on buyers, instead of sending them running for the hills. Perhaps one of the biggest turn-offs in real estate, dirt gives the impression that your property is not well maintained. 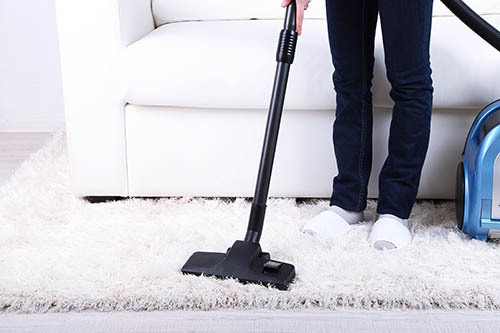 A dirty home is simply not aesthetically appealing and can often be the root cause of other turn-offs, such as bad odors. Keeping a clean, clutter-free home will show potential buyers that your property is a beautiful, healthy place where they can live comfortably without any foul surprises. Interested in receiving more advice on selling your home? Contact your trusted real estate professional today. Last week’s economic news included reports on retail sales, inflation, and weekly reports on mortgage rates and new jobless claims. Retail sales dipped into negative territory in August with a reading of -0.30 percent as compared to expectations of -0.10 percent and July’s reading of +0.10 percent. Retail sales excluding auto sales were better at +0.30 percent. Analysts expected a reading of +0.20 percent based on July’s reading of -0.40 percent. August’s negative reading for retail sales was the first negative report since March. Inflation fared better than retail sales with August’s Consumer Price Index reading at 0.20 percent. Analysts expected a reading of 0.10 percent; July’s reading was flat. Core Consumer Price Index readings for August are less volatile, as the Core CPI does not include readings for food and energy costs. August’s Core CPI reading was 0.30 percent. A reading of 0.20 percent was expected; July’s reading was 0.10 percent. It appears that inflation is creeping upward, but remains well below the Fed’s target reading of 2.0 percent. Freddie Mac reported higher mortgage rates across the board last week. The average rate for a 30-year fixed rate mortgage rose six basis points to 3.50 percent; the average rate for a 15-year fixed rate mortgage rose one basis point to 2.76 percent and the average rate for a 5/1 adjustable rate mortgage rose one basis point to an average of 2.82 percent. Average discount points were 0.50 for 30 and 15-year fixed rate mortgages and 0.40 percent for 5/1 adjustable rate mortgages. Low mortgage rates have helped home buyers, especially first-time and moderate income buyers, meet affordability challenges. Home prices have risen due to low numbers of available homes and high demand for homes. If mortgage rates continue to rise, fewer buyers will be able to qualify for mortgages and or afford asking prices for available homes. Next week’s meeting of the Fed’s Federal Open Market Committee is expected to bring news of a Fed decision on raising the target federal funds rate. If the Fed raises its rate, consumer interest rates for mortgages, vehicles and other goods can be expected to increase as well. This week’s economic news includes the NAHB Housing Market Index, Commerce Department reports on housing starts and building permits issued and a Fed Statement at the conclusion of its Federal Open Market Committee meeting on Wednesday. Fed Chair Janet Yellen is also slated to give a press conference after the FOMC statement. The National Association of Realtors will also release a report on sales of previously owned homes.